Each of these editor-curated collections focuses on a key social-emotional learning (SEL) skill. Join the conversation on controversial issues! 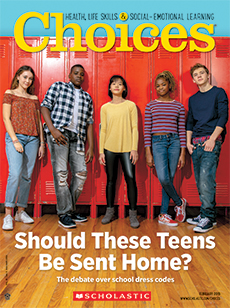 Find out how they can join the Choices Teen Advisory Board.